Esther-Anna Bennett is from Ballinora, Cork and joined the music4children team in February 2017. Esther-Anna achieved the Masters in Music Therapy from the University of Roehampton in 2016 and the Bachelor of Music from UCC in 2014. During her studies in UCC, Esther-Anna volunteered with a community music group for adults with learning difficulties. It was during her volunteering that Esther-Anna first explored the positive effect that creative music making can have on an individual’s well-being. 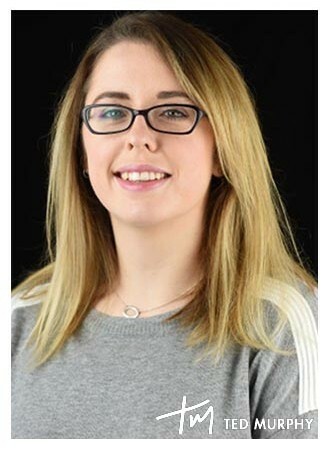 As a qualified Music Therapist, registered as a professional with the Irish Association of Creative Arts Therapists (IACAT), Esther-Anna has worked with children in mainstream primary schools who had suffered through illness and family complications and therefore dealt with behavioural and emotional difficulties. She has also worked in adult mental health with clients that had diagnosis of manic Schizophrenia and Bi-Polar in rehabilitation and recovery settings. Esther-Anna’s main instruments are the flute, piano and ukulele. Her background in music is mostly classical with a diversion into more modern music, having performed with ‘The Supertonics’ flute quartet and the Cork Adult Flute Ensemble (CAFÉ) both in Cork. Esther-Anna also performed traditional ensemble music from Java with the Cork Gamelan Ensemble for four years while studying at UCC. However, while studying in London, Esther-Anna furthered her knowledge of the flute by gigging regularly with an Irish traditional group.